THREE unidentified objects, which resemble rockets, have been discovered in different parts of the country this week after they fell with blasts. Bulawayo24 News broke the news on Thursday last week. Police spokesperson Senior Assistant Commissioner Charity Charamba said that on Sunday last week, villagers in Mulota Village 4 resettlement near Old Trauma Centre Zimplats Mine, Battlefields, heard a strange blast that was followed by a bang near their village. She said the next day, one of the villagers, Mr Sylvester Manika discovered an unidentified object in the bush and alerted other villagers. The matter was reported to Battlefields Police Station. 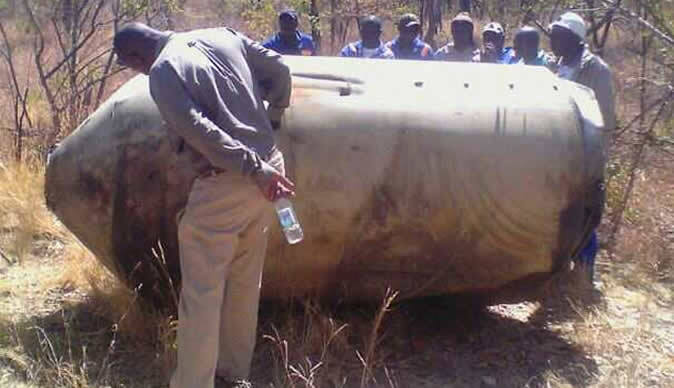 "Police attended the scene and noted that the unidentified object, which resembles a rocket and is made of metal and aluminium material, is three metres long and has a diameter of 1,8 metres," said Snr Asst Comm Charamba. "Police also discovered that the bolts used to fasten the objects are inscribed NAS 13004-41CS." Army engineers also attended the scene. 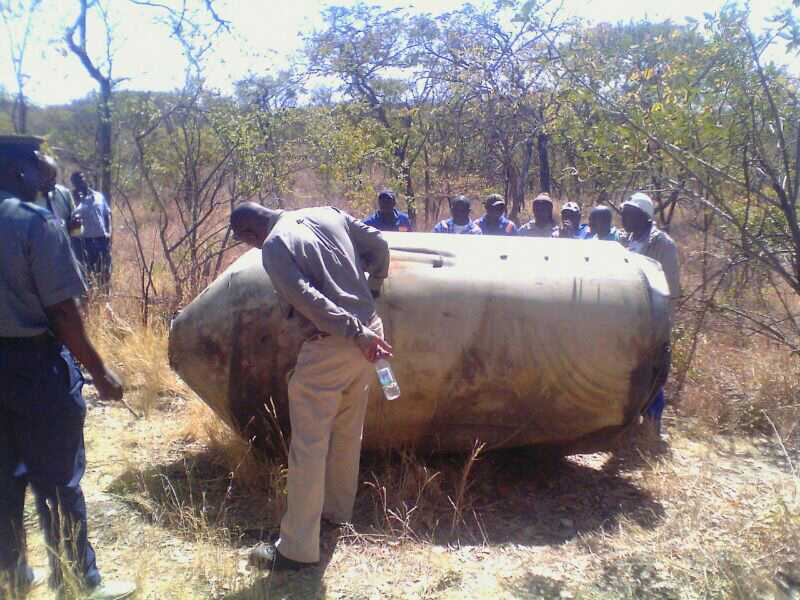 Asst Comm Charamba said this was the third time that unidentified objects were discovered within a week following other objects seen in Zvehama Village in Manicaland and in Chikwanha village in Mashonaland East.